The Great Wall of China location is from The Jia-yu Pass of Gansu Province to the Shan-hai Pass of Hebei Province. Its total length is over 7,300 km. Averagely, the wall has a height of 6 - 7 meters and width of 4 - 5 meters. 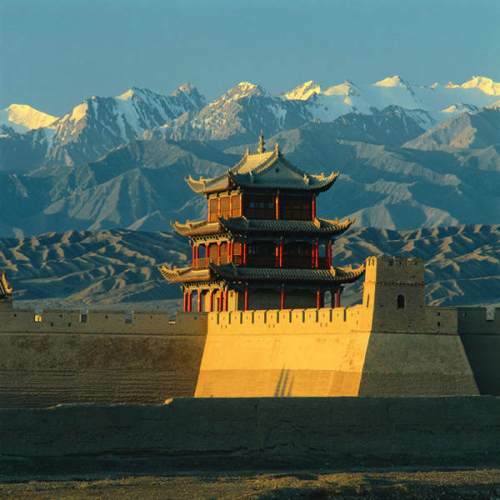 It was built in Ancient China as a major defense project to block the invasion of the Hun tribe or Turkic tribe. The earliest building of the Great Wall started from Qin Dynasty, which was over 2200 years ago, and was repaired and extended in Han Dynasty (206 B.C - 220 A.D.) and Ming Dynasty (1368 A.D. - 1644 A.D.). The majority parts of the Great Wall that we can see today are left from Ming Dynasty. The Tang Dynasty (618 A.D. - 907 A.D ) did not build it because at that time the Turkic tribe was defeated and was not a challenge any more. The west end of the Great Wall: Jia-yu Pass. The Song Dynasty (960 A.D. - 1279 A.D.) did not build it because too much land Inside of the Pass was occupied by the Jurchen tribe from North East. The governor of Yuan Dynasty (1279 A.D. - 1368 A.D.) was Mongolians. The governor of Qing Dynasty (1644 A.D. - 1911 A.D.) was the Jurchen tribe. You know, the Great Wall had actually been built by the Han tribe in central China to block the Mongolians and Jurchens. Of course they did not need to build it. The east end of the Great Wall: Shan-hai Pass. The plaque on the building reads "The No. 1 Pass Underneath Heaven". 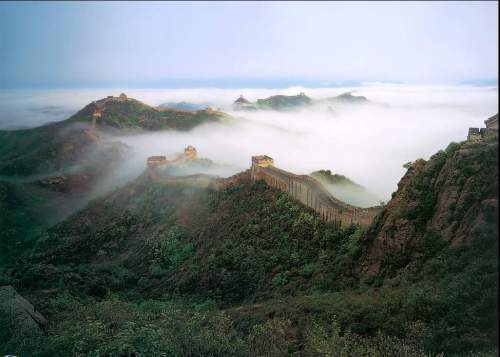 Chinese people often address the geographical areas as "outside of the pass" or "inside of the pass", in which the boundary is just the Great Wall. The blue line in the following map is the route of the whole Great Wall left today. The three balloons from left to right are Jia-Yu Pass, which is the west end; Badaling, which is the best preserved part; and Laolongtou of Shan-Hai Pass, which is the east end. Please click each place-mark balloon in the map below to see the photo. Click the "+","-" button at the top-left corner to zoom in or out of the map, Click the direction buttons to move the map view. The Great Wall at Badaling, Yanqing Town near Beijing is the best preserved Great Wall and has the grandest outlook. Click the balloons in the following google map to see photos of the Great Wall at different parts of Badaling. 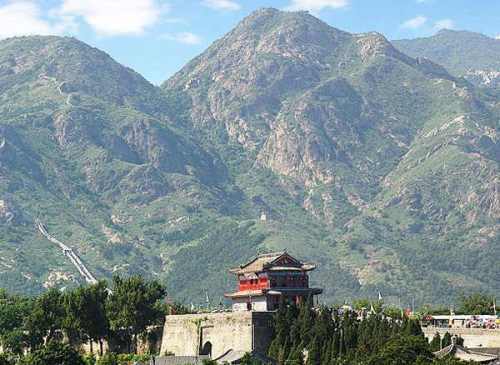 Badaling, Yanqing Town is 60 kilometers to the north of Beijing city. The Badaling Highway connects Beijing directly to Badaling. See the blue line in the map below. It is only 40 minutes' drive in normal traffic. Take Bus 919 at Deshengmen (Victory Gate), Beijing. Take Bus You-Yee-Loo (Tour Bus #1) at Qianmen (Front Gate), Beijing. Return from "Great Wall of China"to "Beijing China Travel"
Return from "Great Wall of China" to home page of "Foreigners in China"